On this special day, especially on this special meaningful moment throughout the year, I remember every second and every single sweet and sour in our life which had been passing through together. You were there for me and I were comfortable for your companion, will pray that this relationship can be last forever and stand firm even though strong wind passing through. I still remember the moment I make you cried and it was painful...I knew that. I hope that next time I make you cry would be the happy tears. In the gather of two life, no promises can be make between to make each happy but holding hand closely and walk through the path is the better thing. When you said you satisfied with what you had now, I felt guilty...there are still many many things that I couldn't give, neither saying promises. A promise can't be simply make but a plan can be make simply. I plan everything just hope you can live more happily and comfort, but will work the best to make this plans become a done promise in my long list checklist. Seeing you restless and sleepless while I am in low pit, when I am sad, when I am sick...and etc, feeling like thousands torn surround my heart, hurting when you treat me so good and while I treat you bad sometimes. You are so understand, familiar and get use to every single thought in my mind and every single action that I want to do. You never turn me down but support me from deep in your heart. I hope that I can do it better than you for caring...but I lose, you are always the best. 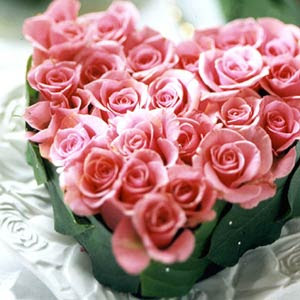 On the special day like today......Valentine's Day, I think of you,who make my live worthwhile. I am fortunate to know you, a rare and special person in my life. I’m thinking about the special ways you have made my life better. The little things, the not-so-little things...Your kindness, the way you always listen and pay attention to me. You make my world brighter and richer. You’re a gift to me, and I thank you for being you. 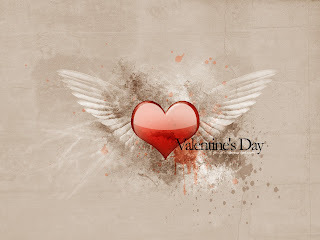 Talking about a special gift for you on this special Valentine's Day...I am not so good in choosing present nor special surprise, I just want to wish you...happy and stay health everyday.